Sportscout - Welcome to SportScout Ltd.
SportScout Ltd. is a promising private company specialising in the development of expert software applications for capturing, analyzing, scouting, filing and provision of audiovisual material feedback via video databases. Sound Network Video Database for AV filing and feedback provision. Tailor made for sports activities with individual event feedback needs. Capturing, filing, simultaneously analyzing up to 40 crieteria as well as provision of AV material feedback and Video Database Management potential. User friendly coaching tool for analyzing tactics in sports. Sportscout STA comprises an open analysis tool available to all users for their own analysis scheme development related to the every single sport of their interest, created to fully satisfy even the most demanding and advanced user. Network application for filing and feedback provision of audiovisual material via large video databases. This application was successfully used at the Olympic Games of Athens 2004 with a total of 3,360 hours of video recording and filing at event level. 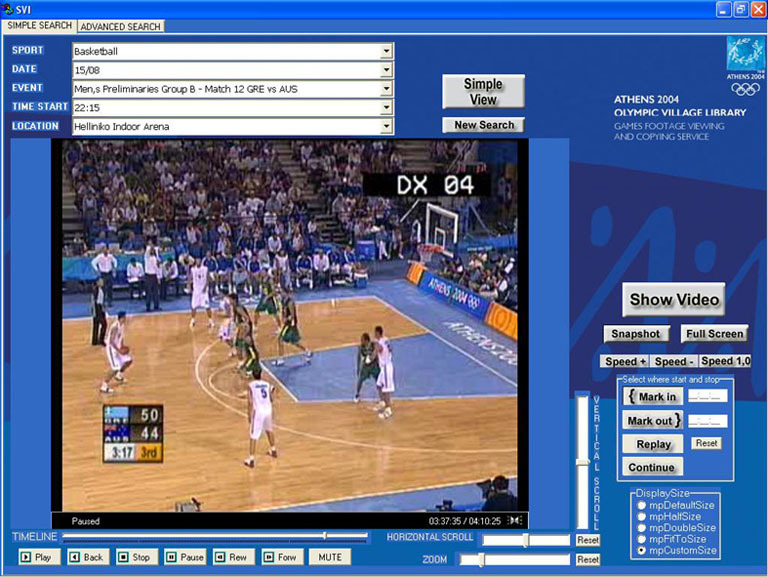 All-in-one Analysis System; a network application most suitable for capturing, filing as well as feedback provision of Audio Visual material via large Video databases. Ideal application for research and educational purposes. 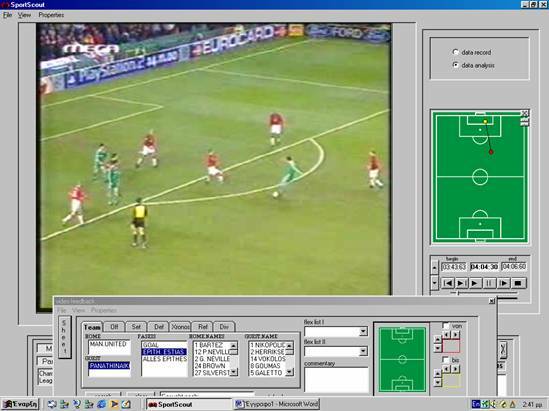 Do you use a scouting software in your team ?